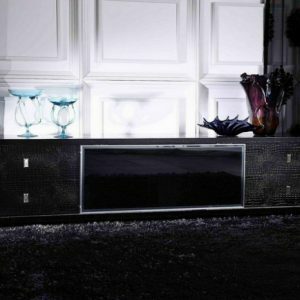 Activate the charismatic style of mid-century modern with the Tread 47” TV Stand. Featuring a linear silhouette with rounded corners, Tread comes with a height adjustable center media storage shelf, durable fiberboard construction, and extra support legs for added sturdiness. Available in either walnut grain veneer with hinged white side doors or natural grain veneer with gray side doors, Tread has a look perfect for your contemporary living room decor. 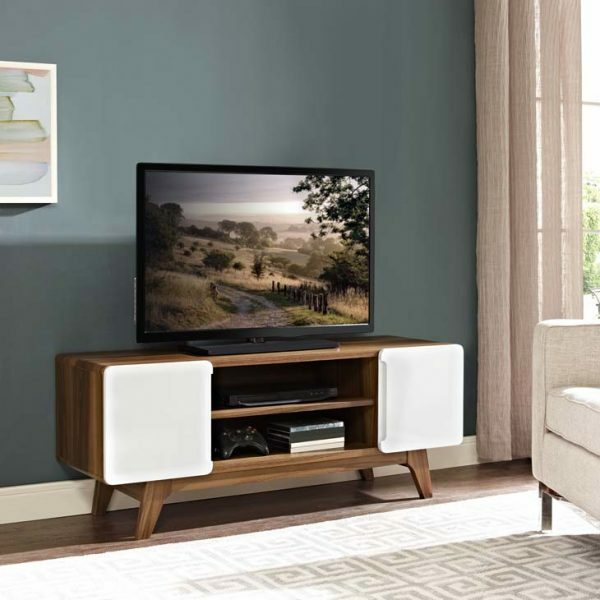 Complete with center cable management for all your entertainment needs, Tread is a versatile contemporary TV stand with ample concealed and open storage. Accommodates flat screen TVs up to 52 inches.